Refrain from applying for more credit. 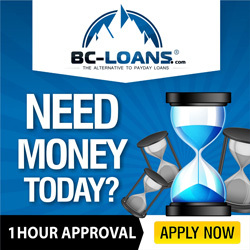 Set Up your Payments for Automatic Withdrawal Paying your bills on time is the most important activity in maintaining or increasing your score as it shows a lender that you are good at managing your obligations. To make sure you stay on track, have payments scheduled for automatic withdrawal from your checking account. That way, you will avoid the possibility of missing a payment date as well as being assessed a late fee or penalty. If you want to qualify for a lower-interest loan, you have to make sure you remain diligent in this regard. Keep Everything in Balance You also need to keep the balances on your card at reasonable levels. Maxed out cards, even if the balances are regularly paid, will decrease your score. So, make sure the balance on each of cards is not more than 20% of the established limit. Keeping the balances at lower levels also gives you a debt-to-income score that bodes well with respect to overall use. Lenders like to see borrowers who balance their credit purchases with the income that they make. Don’t Apply for Several Cards at One Time However, one of the activities that can raise a lender’s antennae is when a borrower applies for several credit cards at one time. When you apply for a card, an inquiry is made that is recorded on your credit report. This inquiry, in turn, decreases your rating. Choose a Card that Carries a Low Interest Rate So, if you do apply for a card, make sure it is one that carries a low interest rate and minimal fees. Applying for a host of cards tells a lender that you have acquired extra debt and are looking for some type of financial relief. Make the Most of the Credit that is Available The whole idea of managing credit well then is to make the most of the credit at hand. Pay your bills on time, use your cards with discretion, and only apply for a new card if it will contribute to lowering a currently outstanding or future debt.